The government is not committing itself to a precise timeline on making changes to the way members of the judiciary are appointed, which could allow it to first fill vacancies with more appointments of those close to the party in power. In a letter to the European Commission last week, following criticism over the lack of independence of various State institutions, Justice Minister Owen Bonnici gave details of the government’s plan for reforms. He gave precise timelines on when changes are to be introduced to the offices of the Attorney General, the Ombudsman, the civil service and the police but refrained from doing the same on the reform of the judiciary. Since elected to office in 2013, Labour has made a number of judicial appointments of persons deemed to be friendly to the government. Most of the recent appointments of magistrates and judges are of people closely connected to the Labour Party, including that of Toni Abela, Labour’s former deputy leader, who was made a judge. Other appointments include the promotion from magistrate to judge of Antonio Mizzi, husband of Labour MEP Marlene Mizzi, despite being found in breach of the judiciary’s code of ethics; former Labour candidates Joanne Vella Cuschieri, Wenzu Mintoff, Joe Mifsud and Monica Vella; the former president of Labour’s Gozo branch Grezzju Mercieca; the daughter of former Labour deputy leader and now Speaker Anġlu Farrugia, Caroline Farrugia Frendo; and Consuelo Scerri Herrera, the sister of Environment Minister Jose’ Herrera, who also was found in breach of the code of ethics. The current system, in use since the 19th century, through which the government appoints magistrates and judges, was declared by the Council of Europe’s Venice Commission as out of date and in need of immediate change. In 2016, the government, with the consent of the PN Opposition, introduced a Judicial Appointments Committee to filter those who wished to be appointed members of the judiciary. However, the final say remains in the hands of the government. Asked to explain why the government has once again decided not to commit to a timeframe on the introduction of changes to the method of judicial appointments, and whether the government would freeze the current process until the new system is in place, Justice Minister Owen Bonnici failed to reply. The minister has been saying that he agrees with the need for change since his appointment in 2013. 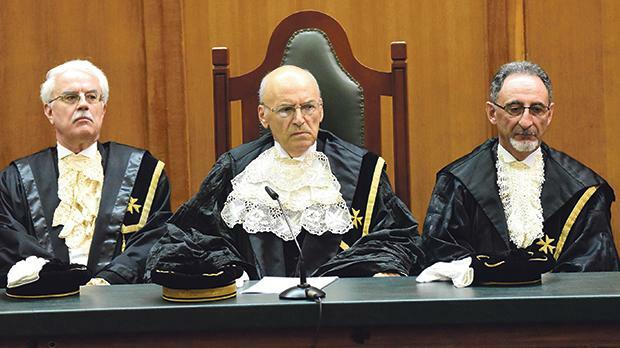 Research conducted by The Sunday Times of Malta shows that in the coming two years, at least four judges of the Superior Court and one magistrate will have to be replaced. Another sitting judge will also move to a European appointment and is also likely to be replaced. The lack of timeframe for changing the system may allow the government to appoint more “friends” over the next two years, “before the door closes through a new system”, one legal source told the newspaper. The Venice Commission is recommending that appointments be made by a new Judicial Appointments Committee, composed of judges. Vacancies would be filled following a public call and on an order of merit decided by the committee. The appointment would be made directly by the President of Malta and the Committee’s decision would be binding. The Chief Justice, currently selected directly by the Prime Minister, would also be chosen through the new system, according to the recommendations.